★★★★★ Villa in a fantastic location right on the waterfront rent of private! Asian decorated. The house is decorated Asian and very well equipped. Wonderful view. Boat can be rented directly! Observation Deck, huge pool, completely open living room : 8 meter slider. The west coast of Florida is one of the most popular tourist locations in the United States: Incredibly beautiful sandy beaches and the pleasant warm waters of the Gulf of Mexico can be enjoyed by tourists as well as many other exciting destinations. One of the most beautiful spots of the region is the picturesque Cape Coral close to Fort Myers which is crisscrossed by countless waterways with the offshore gorgeous beaches of Sanibel Island and the long beach of Fort Myers. If you are looking for an exclusive and luxurious vacation home in Cape Coral, the two magnificent villas „The Beach Walk“ and „Villa Tao“ are just right for you: Both vacation homes are located right on a canal and have a private dock. The boat that belongs to the house can be rented on request. Both the Villa Tao and The Beach Walk features a large pool overlooking the canal and a terrace with seating areas, sun loungers and a barbecue grill. Several bedrooms, some with private bathrooms, can accommodate up to eight people. Inside you will find a comfortable interior with high-quality furniture and Asian decorative items, flat screen TV, stereo and internet. An ultra-modern air-conditioning allows you to set different climate zones in the house. The luxury vacation home The Beachwalk also has a beautiful balcony and a rooftop terrace with views of the Caloosahatchee River. From both vacation homes general stores are within walking distance. The Villa Tao is very close to the marina, where many local residents meet in the evening for a sundowner or dine in the popular restaurant Rumrunners, while The Beach Walk is just a short walk from the fishing pier and the beach of Cape Coral. Free bikes and canoes can be used for trips to Cape Coral. The gorgeous beaches of Sanibel and Fort Myers Beach are just a short drive by car and also Fort Myers itself with all its sights, shopping malls and the international airport is within easy reach. 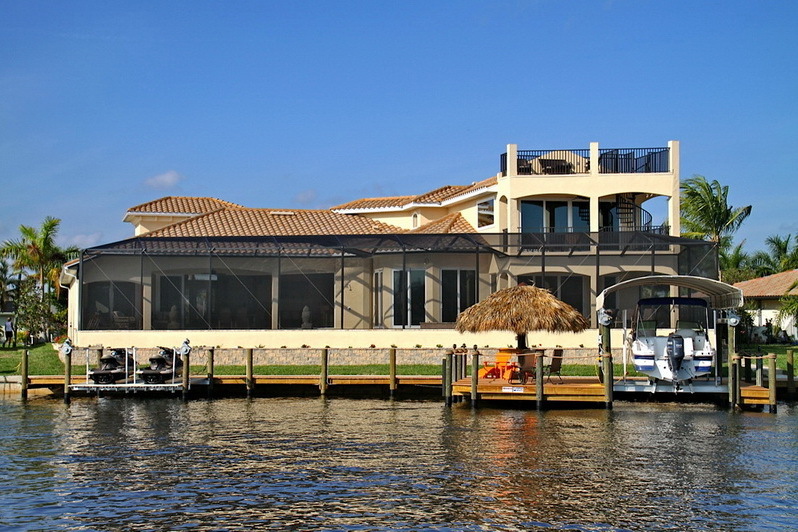 It is almost impossible to find a better location for a vacation home in Cape Coral.